WASHINGTON — The number of backlogged veterans benefits claims is rising again. Veterans Affairs officials insist it's only a temporary problem, due to an unexpected rise in the number of new cases that flooded into the system over the last few months. They're confident the 30,000-case increase in the backlog since last fall will be brought back down again in coming weeks. But to do that, they're also instituting mandatory overtime for claims processors for the fourth year in a row, a practice that in the past has raised questions about whether VA officials have enough capacity to handle the ever-increasing number of benefits cases. "It's a tough decision, and it is just a stopgap measure," said Willie Clark, deputy under secretary for the Veterans Benefits Administration. "We've tried for a more balanced approach in processing all claims, and that lead to an increase in the backlog." VA leaders have also asked for (and received) an exemption to the federal hiring freeze for disability claims examiners and other staff to address the issue. 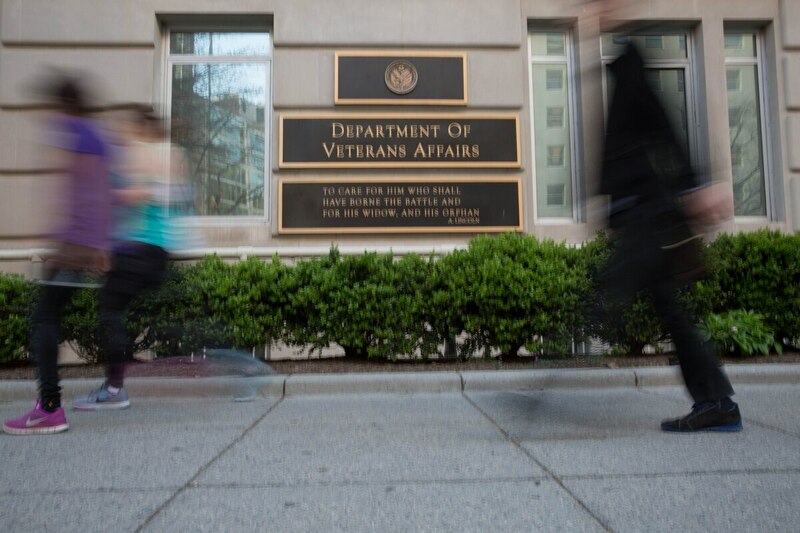 The veterans claims backlog was a major focus of lawmakers and VA critics in the years before the 2014 wait times scandal, but has largely gone unnoticed in recent years as congressional focus shifted to the department's accountability and health care challenges. At the peak in early 2013, the number of backlogged claims — first-time benefits cases that took more than four months to process — topped 610,000 cases. By October 2015, the backlog was down to around 70,000 cases, thanks to a combination of new hires, mandatory overtime and new digital processing of claims. At the time, VA officials said the 70,000-case plateau was likely the lowest they'd ever push the backlog without unnecessarily rushing some claims. After a year of stability around that mark, the backlog number has steadily grown since last November. At the start of March, it jumped above 100,000 cases, prompting concerns from outside advocates. Clark said that has nothing to do with the change in presidential administrations but instead with VA decisions to shift benefits processors to handle more appeals cases. The total number of unfinished benefits appeals peaked above 300,000 cases last year, but has dropped about 16,000 cases since November. Clark said VA officials made the decision to shift resources and personnel to handle the appeals caseload because of public concerns about its growth. But a dramatic rise in new claims in early winter has forced VBA officials to rebalance those efforts yet again. "We’re providing more work than ever before," he said. "But the number of cases coming in keeps going up too." In fiscal 2001, claims officials processed roughly 675,000 cases. For the last seven years, that caseload has topped 1 million, with a record 1.3 million claims processed in fiscal 2016. Clark said VA officials are expecting another record processing year in fiscal 2017. But he is also promising that planners will find a way to balance claims workflow to bring both the first-time cases backlog and the pending appeals caseload down in months to come. VA paid out more than $5.45 billion to nearly 500,000 beneficiaries in fiscal 2016. Department officials have acknowledged the appeals process for claims — which can take five years or more to complete — needs a major overhaul, but also insist that legislation is needed to clean up and speed up the process. Lawmakers have been receptive to the idea in recent years but have failed to pass any fixes to the issue. This week, a new study from the Government Accountability Office said the appeals backlog is likely to get worse in coming years without an influx of new staff.